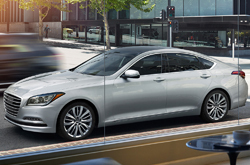 For its 2015 model year, the Hyundai Genesis sedan has been fully redesigned with a larger body frame and several new interior features. On the coupe model, drivers will find a few new features, including a newly standard V6 engine. 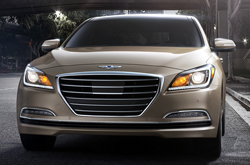 The 2015 Hyundai Genesis sedan gives Carrollton drivers two distinct models to choose from: 3.8 and 5.0. The base 3.8 model comes with a 311 horsepower 3.8-liter V6 engine. It also sports a bevy of fantastic standard features, including 18-inch alloy wheels, a rearview camera, cruise control, automatic climate control, automatic wipers, keyless ignition/entry, leather upholstery, power front seats with lumbar support, a navigation system and a 7-speaker sound system. The 5.0 model is powered by a 5.0-liter V8 engine that rates at 420 horsepower. This top tier model adds 19-inch alloy wheels, illuminated door-sill plates, LED foglamps and a matte wood and aluminum trim. It also features a panoramic sunroof, a power tilt-and-telescoping steering wheel, a power rear sunshade and a premium Lexicon 14-speaker surround-sound system. Other standard features we loved on the 2015 Hyundai Genesis in Carrollton were the sedan's safety features that include antilock brakes, active front head restraints, traction and stability control, full-length side curtain airbags and front and rear side airbags. Looking now at the 2015 Hyundai Genesis Coupe, our review highly recommends considering this two-door roadster. Now sporting a newly standard 348 horsepower V6 engine, the 2015 Genesis Coupe is an excellent option for those who want the same luxury features as the sedan, but with a bit more sport. Our recommendation is to opt for the R-Spec trim that gives the best sport features, including larger Brembo brakes, 19-inch alloy wheels with summer tires, a limited-slip rear differential, leather and cloth interior upholstery and sport front seats. 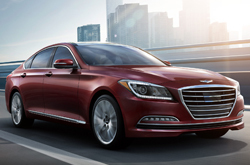 Keep reading our 2015 Hyundai Genesis review for even more information on this fantastic luxury car. The 2015 Audi A4, Mercedes Benz E550, Lexus IS 350, Scion FR-S, BMW 5 Series and the Infiniti G37 are no match for the 2015 Genesis! Just compare Hyundai's latest model to them and you'll find out that it outshines the competition easily. If the Genesis's inexpensive MSRP and state-of-the-art features don't convince you that it's the right vehicle for your needs, we're sure its marvelous styling will seal the deal. It's a truly amazing value, which you'll clearly see when comparing its price to the vehicle options listed above. Find even more info; see our quick-facts list for the Genesis - bullets below this paragraph. Make the search for your next car less time consuming with Van Hyundai's reviews, like the 2015 Genesis overview above, as well as other Hyundai reviews in our gallery. Don't stress out over your next purchase; look to the well&$45;respected Hyundai dealership in Dallas for thoroughly researched reviews recorded by industry specialists. Once you commence reading, you'll find that this article is jammed with vehicle specs in a clear format that's easy to read. Use it to get the info you need to make an educated purchasing decision. 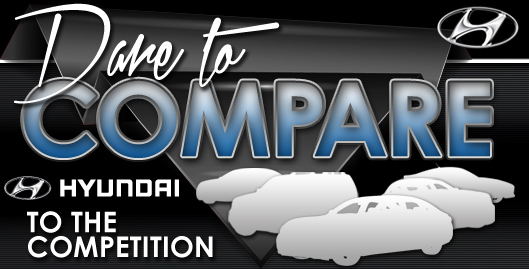 Find out all about our entire lineup of wonderful automobiles! If the Genesis isn't the right option for you, we've got many other Hyundai reviews and car comparisons. Visit our research directory to view them now!